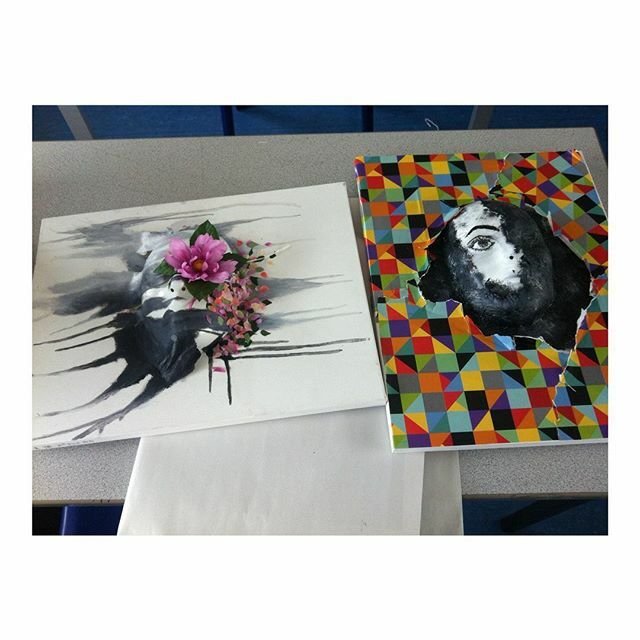 Finally finished by 10 hour art exam which I had on Thursday and Friday and I am relieved and proud! I papier mache a mask onto a canvas, painted it and then stuck flowers and petals on it so there's a contrast between black and white and multi-coloured. To the left is my second final design which I did in the exam and the to the right is my first which I did at home. They're both papier mache and on a canvas. I used acrylic paint to paint them and PVA glue to stick the flowers and the wrapping paper. I should've added more of the drip-down effect at the bottom so it's more even but overall I am very proud!